In addition to weddings, Cascade Village is also a great place to hold meetings of any type, from a corporate convention to a recreational club meeting or retreat. The beautiful mountains of Durango paint a backdrop that is both breathtaking and relaxing, while the interior of the resort has luxurious accommodations to make everyone feel at home. We rent our meeting facilities by the day, weekend, or week. 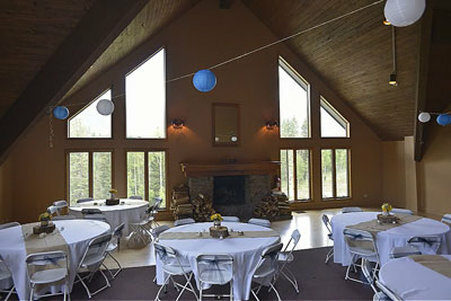 Any of the areas used for wedding receptions can also be setup up for meetings that fit your needs. We offer a blank canvas that can be turned into a space with multiple uses. We have hosted banquets, tradeshows, spiritual retreats, club outings, and much more, working with individuals, large corporations, small businesses, non-profits, and schools. From equipment set up to activity planning, catering, music, and more, we can coordinate every aspect of your event to make it memorable and provide a fun experience for all guests. Contact us at 800-624-9714 for complete details on how we can accommodate your meeting space and our group rates.